When space is at a premium in the kitchen, thoughtful choices — layout, stone colors, and open cabinets — make all the difference. Many homeowners are now sacrificing space for quality, and nowhere is that more apparent than when it comes to kitchen countertops. Granite remains a choice that signifies high end, while white marble retains a timeless appeal, despite the fact that it requires more maintenance. 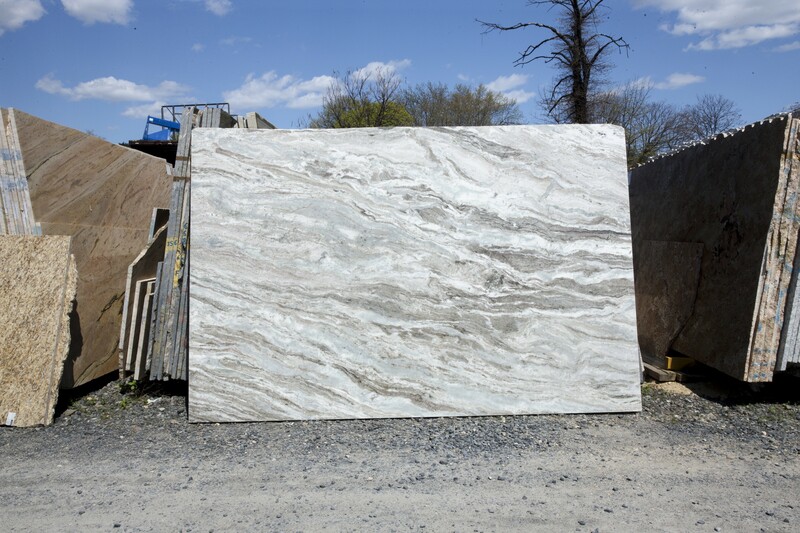 To capitalize, you’ll want to carry an inventory of slabs in a wide variety of colors. When it comes to smaller kitchens, many homeowners will opt, for good reason, to keep things bright and white. 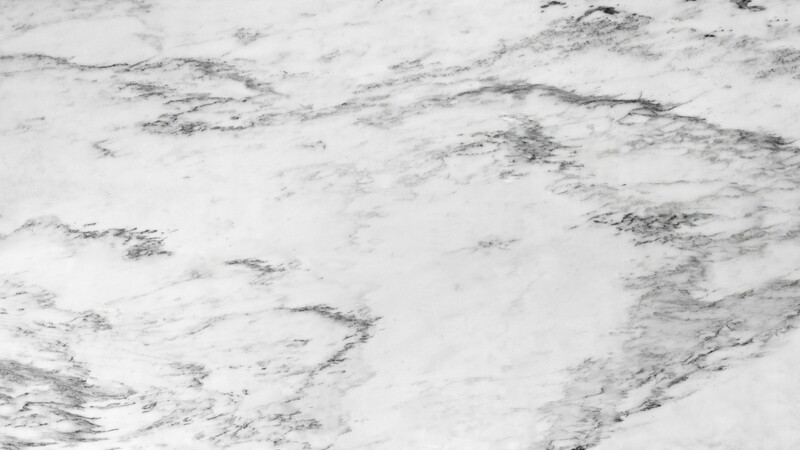 But white doesn’t have to mean dull or antiseptic, and whether it’s the sheer brilliance of something like Super White quartzite or a classic choice such as Calacatta marble, providing a wide selection will mean happier customers. Intricate veining can strike the right notes for many, while others will want a cleaner look. Fact is, nobody wants to compromise, and when people are choosing kitchen countertops, the choice is very personal. When they see the right slab, they know. White isn’t the only solution, however, in a smaller kitchen. Many people will select bright colors throughout the room and choose dark granite or engineered quartz for the kitchen countertops to provide contrast. Again, being able to present options in your slab inventory will create opportunities for more sales. What else are homeowners doing to make small kitchens feel open and more expansive? In addition to countertops that are light and bright, open cabinetry continues to grow in popularity. It enhances the functionality of the space — there is a reason, after all, that restaurant kitchens use open shelving — and makes the room feel more spacious. While it requires attention to the organization, it also allows you to display your favorite glassware, dishes, and collectibles. Layout is also a critical component in smaller kitchens — galley, U-shaped, L-shaped — and choosing countertops that work well with each one is critical, since the eye is quickly drawn to them when entering the room. And no matter how big space, just about everyone would like to find a way to make an island work. If a smaller one can be accommodated, it can make the space more efficient and productive, and a moderately sized island with a countertop fabricated from a marble such as Calacatta gives any kitchen a timeless appeal. When it comes to any kitchen — big, small, or somewhere in-between — there is really one thing that homeowners want. That means if you’re a natural stone fabricator, keeping your container stocked with all kinds of different colors — from bright white to midnight black — is good business. Not only are stone colors important — so is the complexity of the patterns within the stone. Some homeowners will be enamored of a slab with intricate, detailed veining, while others will want a clean, uncluttered look in the slab they choose. You’ll also want to maintain a range of natural stone choices when it comes to kitchen countertop slabs — granite, marble, quartzite, etc. Today’s homeowner is knowledgeable about the options, and the Internet era gives them an opportunity to do thorough research easily. They want to see and touch the natural stone they have read about and no matter which one they may be favored, they will appreciate the opportunity to see and touch all of them. For instance, they could be completely set on white for the color of the countertops in their space-challenged kitchen but may be unsure if they want white granite, white marble or a quartzite like super white quartzite. Being able to discuss and show all these options will enhance your reputation as a natural stone fabricator. And grow your business. Here is one of our favorite small kitchens from Marble.com!